A brilliant second half performance from Gillingham resulted in a 2-2 draw away at top of the league Luton Town. Goals from Tom Eaves and Luke O’Neill cancelled out Danny Hylton and Jack Stacey’s goals for Luton. Tensions were high between the two sets of fans in the build up to kick off with plenty of songs being exchanged. Luton started strongly, having a shot on goal within the opening minute. Gillingham had plenty of chances to take a surprise lead with Hanlan and Eaves having headers easily saved by Hatters keeper James Shea. The opening goal came right on the stroke of halftime after Callum Reilly’s clearance fell to the feet of Danny Hylton poking the ball beyond Holy from less than 6 yards. Gills came out all guns blazing in the second half and Eaves nodded home his 19th goal of the season on 52 minutes after some good work from Reilly on the left wing. Inevitably, Luton kept up the attacking prowess shown in the first half and a goal showed for it – Jack Stacey drilling the ball past Holy ,at his near post, from a tight angle. Gillingham kept going for a second goal that their performance deserved and they finally got it. Luke O’Neill’s brilliant free kick on 80 minutes sealed a well deserved point. The right back scored his 3rd free kick of the season and sent the 601 Away fans who travelled into carnage! Luton kept trying to find a way through but the back four of Gillingham repelled every attack that came their way. Max Ehmer then had the chance to nick it with seconds to spare but fluffed the chance and James Shea easily gathered the ball. 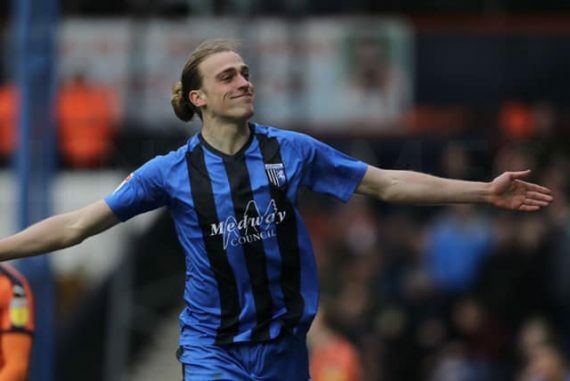 This entry was posted	on Saturday, March 16th, 2019 at 5:00 pm	and is filed under Featured, Football, Gillingham. You can follow any responses to this entry through the RSS 2.0 feed. Both comments and pings are currently closed.